Israel's leftists are lonely these days. This was the central thrust of an opinion column in Tuesday's New York Times authored by Aluf Benn, editor-at-large of the left-wing Haaretz newspaper. Benn's article, "Why won't Obama Talk to Israel?" was a plaintive call for US President Barack Obama to woo the Israeli public. As Benn put it, "Next time you're in the neighborhood, Mr. President, speak to us directly." Benn's article has been touted by Obama supporters and detractors alike as evidence that the president has a credibility problem with Israelis. Jewish Obama supporters sought to soften the impact of Benn's article on their fellow Jewish leftists by claiming that Obama is listening to the likes of Benn. For instance, the Atlantic's Jeffrey Goldberg reported without irony that administration officials defend Obama's silence toward Israel by arguing that his June 4 speech to the Muslim world in Cairo was also geared toward Israelis. The June 4 address of course was the one where Obama compared Israel's treatment of the Palestinians to the Nazi Holocaust of European Jewry and to black slavery in the antebellum American South. It was also the speech where he embraced Iranian President Mahmoud Ahmadinejad's claim that Israel owes its existence to the Holocaust and not to the Jewish people's legitimate right to self-determination in our homeland. Benn's piece is an interesting read, but not for the reasons that have been widely cited. It is interesting for what it says about the Israeli Left on the one hand, and what it says about Obama and his American Jewish supporters on the other. Although Benn gives a long bill of particulars on why Israelis mistrust Obama, the general thrust of the article is supportive of the administration. Far from an attack on Obama, it is a cry for help. Benn and his fellow Israeli leftists want the administration to help them by changing the tenor of its policies, not the policies themselves. WHEREAS THE American Left was triumphant in the 2008 elections, the Israeli Left was decimated in Israel's general elections in February. Its two standard bearers - Meretz and Labor - were effectively wiped out. Its new flagship, Kadima, failed to win the support of any other party in its bid to form a governing coalition. Worse still, consistent polling shows that the general public rejects every one of the Israeli Left's central policies. From the swift establishment of a Palestinian state, to the mass expulsion of Jews from Judea and Samaria and Jerusalem, to unilateral land giveaways to the Palestinians, the Israeli Left today speaks for a but a small minority of Israelis. Benn cited last month's Jerusalem Post poll which showed that a mere 6 percent of Israeli Jews view Obama as pro-Israel while some 50% of Israeli Jews perceive the president as more pro-Palestinian than pro-Israel. As he sees it, Obama's failure to win the trust of the Israeli public will make it impossible for him to coerce the Netanyahu government into freezing Jewish construction in Judea, Samaria and Jerusalem. This is a disaster for Benn and his colleagues. For unless the US can force the government's hand, there is no chance that they will be able to see their radical policies implemented. It is in his attempt to convince Obama to help the Israeli Left that Benn makes his most consequential critique of the US leader. As he puts it, Obama "seems to have confused American Jews with Israelis." The United States admitted this week for the first time that it accidentally helped fund the illegal construction of a Palestinian building in a park located on the edge of the former Shadma military base in the West Bank's Gush Etzion region. In 2007, the nearby Beit Sahour Municipality constructed the park with funding from abroad, in an area which Palestinians call Oush Ghrab (crow's nest). The park, which is used by Beit Sahour residents, hosts a building with a small kiosk for events, a stone terrace, a soccer field, a playground and the largest wooden rock climbing tower in the area.The spokesperson did not know how much of the money went toward the stone building in the park, which was built illegally. When the funds were given, USAID believed that all the necessary permits had been obtained for the structure. Some $281,000 was provided for the park by the United States Agency for International Development, an independent federal agency that provides economic, development and humanitarian assistance world-wide. A large white sign stating that USAID contributed to the "Peace Park" hangs on the gate at the entryway to the complex. A spokesperson for the US Consulate in east Jerusalem told The Jerusalem Post on Wednesday that American funding was given to the project in two installments, the first in November 2007 and the second in August 2008. The spokesperson did not know how much of the money went toward the stone building in the park, which was built illegally. When the funds were given, USAID believed that all the necessary permits had been obtained for the structure. It realized its error several months ago and has been working with the Coordinator of Government Activities in the Territories to see a solution. The issue was brought to the media's attention by MK Arye Eldad (National Union), who visited Shadma earlier this week in his capacity as a member of the Knesset Foreign Affairs and Defense Committee. Last winter Lake Kinneret only received about 56 percent of the water it receives in an average rainy season, the Water Authority said in a report released this week. Precipitation was slightly greater than the winter before, but cumulatively speaking it is the fifth year in a row of less-than-average rainfall. The Kinneret has dropped more than two meters in the past two years. In addition, the water has become increasingly more saline for the fifth year running, because less low-saline water (rainwater) is coming into the lake. Since the water is used for irrigation, this endangers crops sensitive to high salt concentrations. The Water Authority said the southern part of the lake is below the dam keeping the water from flowing south into the Jordan River and on to the Dead Sea. Even if the dam were opened, no water would flow southward. The level of the Dead Sea has been dropping at the rate of about 90 centimeters a year. The heavy rains in February increased last winter's overall precipitation, with some areas experiencing rainfall amounts that are seen only once every fifty years. However, in January Jerusalem had its lowest rainfall since 1895, and in the Kinneret region the rainfall was the lowest since the 1920s. The Water Authority has minimized the amount of water being pumped from the Kinneret, which means it is forced to make up the difference by pumping from the coastal and mountain aquifers. The mountain aquifer, where the water is considered to be of high quality, dropped sharply toward the red line, below which this source faces the risk of leakage of saline water. In the central aquifer (a well in the Petah Tikva area) the water level is only 10 centimeters above the red line, Water Authority measurements show. North of that point, at the present rate of pumping, the water level in the mountain aquifer will dip below the red line in a few months. Jewish Occupation or Roots in Judea and Samaria? 1. President Obama's claim – enunciated during his June 4, 2009 speech at Cairo University – that "the aspiration for a Jewish homeland is rooted in a tragic history [The Holocaust] that cannot be denied," ignores thoroughly-documented Jewish roots in the Land of Israel in general and in Judea & Samaria in particular. 2. World renowned travelers, historians and archeologists of earlier centuries, such as H. B. Tristram (The Land of Israel, 1865), Mark Twain (Innocents Abroad, 1867), R.A. MacAlister and Masterman ("Palestine Exploration Fund Quarterly"), A.P. Stanley (Sinai and Palestine, 1887), E. Robinson and E. Smith (Biblical Researches in Palestine, 1841)), C.W. Van de Velde (Peise durch Syrien und Paletsinea, 1861), Felix Bovet (Voyage en Taire Sainte, 1864) – as well as Encyclopedia Britannica and official British and Ottoman records (until 1950) refer to "Judea and Samaria" and not to the "West Bank." The latter term was coined by the Jordanian occupation of Judea and Samaria following the 1948/9 War. 3. The term "Palestine" was established by Greek Historian Herodotus, and adopted by the Roman Empire, in an attempt to erase "Judea" from human memory. "Palestine" was a derivative of the biblical Philistines, arch rivals of the Jewish nation, non-Semites who migrated to the area from the Greek islands and from Phoenicia in the 12th century BCE ("Plishtim" – the invaders - is the Hebrew word for "Philistines"). 4. Most Arabs (Semites from the Arabian Peninsula), who reside between the Jordan River and the Mediterranean, have their origin in a massive 19th-20th century migration from Egypt, Syria, Lebanon and other Moslem countries. *A-Dura is biblical (and contemporary) Adora'yim, site of King Rehoboam's and a Maccabees' fortress. *A-Ram is biblical Haramah, Prophet Samuel's birth and burial site. *Anata is biblical (and contemporary) Anatot, the dwelling of the Prophet Jeremiah. *Batir is biblical (and contemporary) Beitar, the headquarters of Bar Kochba, the leader of the Great Rebellion against the Roman Empire, which was crashed in 135CE. *Beit-hur is the biblical (and contemporary) Beit Horon, site of Judah the Maccabee's victory over the Assyrians. *Beitin is biblical (and contemporary) Bethel, a site of the Holy Ark and Prophet Samuel's court. *Bethlehem is mentioned 44 times in the Bible and is the birth place of King David. *Beit Jalla is biblical (and contemporary) Gilo, where Sennacherib set his camp, while besieging Jerusalem. *El-Jib is biblical (and contemporary) Gibeon, Joshua's battleground known for "Sun, stop thou in Gibeon and the moon in the valley of Ayalon," Joshua 10:12. *Hebron - named after Hevron, Moses' uncle and Levy's grandson – was King David's first capital for 7 years, the burial site of the 3 Jewish Patriarchs and 3 Jewish Matriarchs. *Jaba' is the biblical (and contemporary Geva, site of Jonathan's (son of King Saul) victory over the Philistines. *Jenin is the biblical (and contemporary) Ein Ganim, a Levite town within the tribe of Issachar. *Mukhmas is biblical (and contemporary) Mikhmash, residence of Jonathan the Maccabee and site of King Saul's fortress. 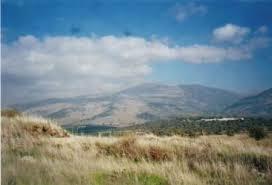 *Seilun is biblical (and contemporary) Shilo, a site of Joshua's tabernacle and the Holy Ark and Samuel's youth. *Tequa' is biblical (and contemporary) Teqoah, hometown of the Prophet Amos and currently known for its home grown Ginger. Are these sites "occupied" by the Jewish State or are they the epitome of Jewish moral high-ground and Statehood? Recent revelations about foreign government funding for local NGOs involved in political activity have triggered discussions by senior Israeli officials about the possibility of making such aid illegal, The Jerusalem Post has learned. The senior officials are looking into whether it might be possible to ban donations from foreign governments to political NGOs, just as it is forbidden for foreign residents, let alone governments, to contribute to Israeli political parties. One of the questions that will have to be addressed, according to an official involved in the discussions, is what constitutes a political NGO. While it seems that there is an obvious distinction between an organization like Hadassah, which funds hospitals, and one like Breaking the Silence, which has a perceived political agenda, the distinctions would have to be spelled out in legislation. The discussion follows Post revelations that foreign governments are funding of Breaking the Silence, which last week added its voice to a number of NGOs that have issued scathing reports of the IDF's activities in Gaza during Operation Cast Lead. Israel has already contacted the Dutch and British governments about their funding of the organization, and is expected to soon take up the matter with the Spanish government as well. The Spanish Foreign Ministry's agency for international development cooperation budgeted 80,000 for Breaking the Silence in 2009. It allocated 100,000 for the Association for Civil Rights in Israel, and another 80,000 for the Israeli Committee Against House Demolitions, a group led by far-left activist Jeff Halper. We are witnessing a startling attempt by the Obama administration to establish a peanut gallery of Jewish backers of his anti-Israel designs. * * *The original "Peanut Gallery" was a packed audience of little kids who were used to applauded the antics of a clown named "Clarabell" (on an early American TV show called "the Howdy Doody Show"). After years of failed diplomacy no one will be able to call an attack precipitous. Wow. Just imagine if America, say, during the Troubles in Northern Ireland had been funding projects aimed at halting Loyalist marches or building houses for Catholics in Loyalist areas. It would seem that the British government is actively suborning the government of Israel. HMG appears to have forgotten that it stopped governing Palestine in 1948. The global NGO community is at it again. According to this year’s Global Peace Index, released by the widely respected Vision of Humanity grouping, Israel ranks 141 out of 144 countries surveyed. Only Somalia, Afghanistan and Iraq are ranked lower. In terms of human rights, Israel is ranked at the same level as North Korea and Iran. Indeed, apart from Iran and Yemen, all of the countries in the Middle East are given a higher ranking. The index draws its inspiration from a United Nations initiative in 1999 when, according to the report’s authors, “the UN General Assembly launched a programme of action to build a “culture of peace” for the world’s children, which envisaged working towards a positive peace of justice, tolerance and plenty.” No real mystery then over what is about to follow. The rankings are constructed out of 23 indicators of internal and external peace. These include factors such as the number of conflicts fought over the last five years, the potential for terrorism, ease of access to weapons, and human rights. Each category is graded on a scale of one to five, where one is the best score and five the worst. Ostensibly, the survey is a value-neutral study which highlights objective realities about a nation’s predicament. The top ranked country in the study is New Zealand which makes sense given the nation’s remoteness and the absence of violent neighbours. Israel, a country under the constant threat of terrorism and living under the shadow of countries such as Iran which call for its destruction, would, logically enough, be given a relatively low ranking. But this survey is anything but value-neutral, as closer inspection of its attitudes to human rights makes abundantly clear. Israel was given a four point ranking in this category — the second worst possible and on a par with North Korea and Iran. Even more absurdly, Saudi Arabia’s ranking on human rights was actually higher than Israel’s. Saudi got a score of 3.5, as did China. On July 22-24, 2009, the UN Committee on the Exercise of the Inalienable Rights of the Palestinian People held an NGO conference “to discuss questions related to Israeli violations of international humanitarian law.” The context of Palestinian attacks was not on the agenda. Timed to coincide with the Goldstone investigation, the event reflects the ongoing legal warfare instigated by NGOs in response to the Gaza conflict. Speakers in this entirely one-sided NGO event included Bill Van Esveld (HRW), Ron Yaron from Physicians for Human Rights-Israel (PHR-I), Yizhar Be’er (Keshev), Fatmeh El Ajou (Adalah), and Daphna Golan, co-founder of B’Tselem, and researcher at the Minerva Center for Human Rights of the Hebrew University in Jerusalem..
Human Rights Watch’s participation reflects the organization’s bias and the absence of professionalism in its Middle East activities. Most NGO representatives expressed support for “lawfare” cases in European courts and international forums against Israeli military and government officials. A Palestinian speaker accused Jews of “buying everything” and controlling a “global machine, money,” and another expressed “extreme disappointment” that Palestinian war crimes were even mentioned in passing. Other speakers included Raji Sourani of the EU-funded PCHR (and vice-president of FIDH); John Dugard, former UN rapporteur, and leader of the Arab League’s “fact finding” mission that accused Israel of “genocide” and “war crimes”; and Pierre Galand, a Belgian anti-Israel activist. "Israel, with her survival at stake, cannot afford to take chances.... The nature of the Israeli's situation is bound to influence their interpretation of ambiguous events. We, on the other hand, have an incentive to minimize such evidence, since the consequences of finding violations are so unpleasant. Violations force us to choose between doing something about them and thus risk the blowup of our initiative; or doing nothing and thus renege on our promises to Israel, posing the threat of her taking military action. Accordingly, we tend to lean over backwards to avoid the conclusion that the Arabs are violating the cease-fire unless the evidence is unambiguous." preserve them. The purpose of this guarantee is that it adds a layer of deterrence against the intentions of those who may, in the future, wish to invalidate, or violate the demilitarization arrangements. Is Israel demanding a priori carte blanche from the world to be able to carry out whatever operations the Jewish State “deems necessary” inside Palestinian territory should Israel determine that the Palestinians have violated the demilitarization arrangements? It would be useful for Prime Minister Netanyahu and his team to suggest what they have in mind. Is Israel to determine there is a violation or some third party? Historically, Arab violations are ignored by the world so if there is wording that Israel has the right to act if some third party determines that there is a violation then Israel will find itself in the situation that the third party declines to recognize that in fact a violation has taken place. Is Israel to determine that the violation has been resolved or some third party? Even if Israel proved beyond the shadow of doubt that a violation took place, Palestinian claims that the violation was rectified might be accepted at face value by a third party. What kind of “total legitimacy for any action deemed necessary to preserve them” are we talking about? When one says “action deemed necessary” – who does the “deeming”? Is Israel to sit around waiting for some committee to review its operational plans for approval (which they might leak to the Arabs – but let’s not digress)? These are not idle concerns. Only someone intentionally ignoring Israel’s experience over the years with various forms of third party observers could dismiss these very serious issues. Would international guarantees “deter” violations? That depends on what they are. independently acting against Palestinian violations that it has independently identified could actually encourage violations. President Obama's policies toward Israel add fresh pain to a day of lament. An apocryphal story is told of Napoleon Bonaparte entering a darkened synagogue and observing weeping Jews, sitting on low stools. Asking what misfortune had occurred to cause such behavior, he was informed that it was the ninth day of the Hebrew month of Av. On that day, as Napoleon learned, Jews commemorate the destruction of the First and Second Temples in Jerusalem and the fall of the Fortress of Betar. The day, marked with a 25-hour fast and a public reading of the book of Lamentations, signifies not only the loss of Judaism's singular holy site but the end of independent political sovereignty and the eventual expulsion, a second time, into exile. On hearing that story, Napoleon exclaimed: "A people that cries these past 2,000 years for their land and temple will surely be rewarded." Today, the 9th of Av, there are many new threats to Jerusalem, including the recent diplomatic dissing of Israel by the U.S. Fortunately, the words of President Obama and other U.S. officials have served to reinforce a consensus among Israelis that Jerusalem must remain exclusively under Israeli control and that even communities of Jews living outside the former Green Line, the armistice line drawn after the 1948 Arab-Israeli war, must remain a part of Israel. A liberal Washington think tank, the Center for American Progress, recently conducted a panel discussion based on the premise that the Old City of Jerusalem is the main impediment to solving the Israeli-Arab conflict. The group's plan recommends that Israel and a future state of Palestine appoint a third-party administrator that would run and police the city. An audience member who asked why the status quo could not be retained was informed by a panelist that that "would be too intangible." Should "Country of Birth" for American babies born in Jerusalem be "Israel"? We have to hope Secretary of State Hillary Rodham Clinton knows better than to upset the status quo. As longtime diplomat Dennis Ross informed us in his book, "The Missing Peace," the only new idea Yasser Arafat raised at Camp David in 2000 was that the temple didn't exist in Jerusalem, claiming it had been located in Nablus. Her husband, then-President Clinton, was astonished at this. Instead of "Holocaust denial" we were given "temple denial." U.S. policy toward Jerusalem has long tended toward the "denial" side of the equation. If an American living in Jerusalem gives birth to a child in either West Jerusalem or post-1967 East Jerusalem, for example, her progeny is not recognized by the U.S. as being born in Israel. 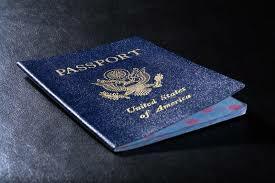 The birth certificate and passport will list only a city name -- Jerusalem -- as the place of birth. This rule follows the U.S. Department of State Foreign Affairs Manual, which notes: "For a person born in Jerusalem, write JERUSALEM as the place of birth in the passport. Do not write Israel, Jordan or West Bank ..." The "logic" for this is that Israel is considered by the United States to be "occupying" territories -- including Jerusalem -- whose final status must be negotiated. As State Department spokesman Ian Kelly admitted on June 22, before being reined in, the recent Obama administration fixation on a "settlement freeze" also targets neighborhoods in East Jerusalem whose Jewish population's "natural growth" is to be halted. And there is more State Department trickery. Births of children of American citizens in any of the Arab towns or Jewish communities outside of Jerusalem and beyond the Green Line will have their birthplace noted, as per the above-mentioned regulations, as the "West Bank." Is the "West Bank" a state? Is the State Department engaged in creating new states? This is an illogical and quite unreasonable bureaucratic situation. On the one hand, the State Department has fashioned a new "state" while, on the other, it is ignoring Israel's status in its own capital. The "West Bank" never existed as a geopolitical entity until April 1950, when Jordan annexed the area. 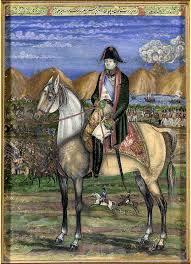 That annexation, incidentally, was considered by all the world -- except for Britain -- as an illegal occupation. Yet the U.S. has established the "West Bank," with the stroke of a pen, as if it were a state entity. If the U.S. insists on using boundaries dating to 1948, shouldn't it also use the place names in use at that time? "Judea" and "Samaria" were both names written into the U.N. partition resolution. A baby born to U.S. citizens in Shiloh, for example, should therefore be registered as having been born in "Shiloh, Samaria." Today is a day of lament for a long-ago event seared into the collective memory of Jews the world over. But the contemporary pressures the Obama administration has brought on Israel have created another lamentable situation between the two nations. This year, the ancient fast days will also provide an outlet for contemporary frustration over issues of sovereignty, political independence and security. Yisrael Medad resides in the Shiloh community and blogs at myrightword.blogspot.com. About two thirds of the public want the Temple rebuilt, including about half of secular Israelis, a new survey conducted for Ynet and the Gesher organization revealed. The survey was held by the Panels Institute among 516 respondents that are a representative sample of the adult Jewish population. The margin of error was 4.3%. Initially, the respondents were asked what happened on Tisha B'Av (Ninth of Av), and showed impressive knowledge. Ninety-seven percent responded that the Temple was destroyed, while only 2% said they did not know. The second question was whether respondents wanted to see the Temple rebuilt. Sixty-four percent responded favorably, while 36% said no. An analysis of the answers showed that not only the ultra-Orthodox and the religious look forward to the rebuilding of the Temple (100% and 97% respectively), but also the traditional public (91%) and many seculars – 47%. When asked whether it was at all justified to mark something that had happened 2,000 years ago, 80% said that it was, while 13% said only events related to the State of Israel should be commemorated. Another 7% categorically replied with a "no." Here too an analysis of the answers revealed that the positions on Tisha B'Av transcended religious divisions – 74% of seculars and 100% of ultra-Orthodox responded that dates like Tisha B'Av should be commemorated. Gesher Director General Rabbi Danny Tropper told Ynet in response to the survey results: "We are a nation with a remarkable historic affinity. The Temple was destroyed 1,942 years ago, and almost two thirds of the population want to see it rebuilt, including 47% of seculars. "I don't think this is a practical proposal, but it seems that Tisha B'Av really does constitute a day of meaningful memory to most of the people." While our pre-Tisha B'Av meal is cooking on the stove, the words I heard in the Knesset two day ago, at MK Dr. Michael Ben-Ari's seminar about Har HaBayit (the Temple Mount) are "cooking" in my mind. This morning I read something from Aish.com which raised the flame, or made it more like a "pressure cooker." The prophet describes all of the suffering that befell the Jewish people at the time of the destruction of the Temple. "Eichah! How is it possible? The proud majestic city of Jerusalem, in ruins! Her inhabitants in exile! Her enemies rejoicing!" For years it has been bothering me that we, as a nation, people, religion, failed to do something crucially important as the 1967 Six Days War ended. G-d performed a miracle for us on the level, size of a Biblical miracle and we have been rejecting it. One is that the State of Israel, the first Jewish State in two thousand years survived the well-planned military onslaught from the north, south and west, which aimed to literally throw us into the sea. When the Jewish People left Egypt, G-d had to make miraculous passages through the water. In 1967, we stayed on dry ground. The second miracle is the gift of the HolyLand, Judea, Samaria, Gaza, Sinai, Jordan Valley, Golan and the missing parts of Jerusalem including the Temple Mount. One of the speakers on Monday, (sorry, but I didn't take detailed enough notes,) reminded us that although two hours after we, with the help of G-d, liberated the Temple Mount government ministers decided to give the keys to the Wakf, the Temple Mount is still in our hands. Not all is lost. We can fix it. We can fix it if we want to. Judea and Samaria, where most of our Biblical History took place are also still in our hands. "Eichah! How is it possible?" How is it possible that Jewish leaders, rabbis from all over the world haven't returned home and settled our precious land? "Eichah! How is it possible?" How is it possible that we haven't built our Holy Temple in the forty-two (42) years since Har HaBayit b'yadeinu, The Temple Mount is in our hands? Israel is up in arms over a declaration by a British government spokesman that the UK is funding political activity in Israel. British spokesman Martin Day said in an interview in Dubai with Al-Arabiya television last week that the British government was "taking practical steps towards freezing settlement activities." "For instance," Day said, "we finance projects aimed at halting settlement activities. One of these projects seeks to build new Palestinian neighborhoods in east Jerusalem and save Palestinian houses from demolition." In addition, Day said in an Arabic interview, "we also finance organizations that monitor settlement activities." He further stated that "products from the settlements do not enjoy preferential custom duties that we offer to products coming from Israel. In light of this, we can say that we are taking effective and practical steps against settlement activities." The Foreign Ministry's senior deputy director general, Rafi Barak, spoke with British Ambassador Tom Phillips two days ago and asked for an explanation. He met with the British envoy again on Wednesday to again discuss the matter and voice Israel's displeasure. Phillips, according to Barak, said he was looking into the matter. Karen Kaufman, the British Embassy's spokesman in Tel Aviv, said in response that the British government was "not involved in the actual construction of new Palestinian neighborhoods in East Jerusalem." "The UK is spending £450,000 over 4 years to support projects in east Jerusalem and the West Bank that help Palestinians better understand and effectively use the Israeli planning laws to gain permission both retrospectively for existing homes, and prospectively for new homes on their side of the Green Line," she said. Yossi Levy, the ministry's spokesman for the Hebrew press, characterized Day's comments as the "height of chutzpah," and said such activity was "unheard of." Foreign Ministry spokesman Yigal Palmor said, "We can't recall any other case of a democratic country funding political activities inside another democratic country." Additionally, he said, this makes no sense from their point of view because any political activities they are backing will lose credibility in the eyes of the Israeli public when it is revealed that these activities are funded by a foreign government. "How would the British feel if another country funded political activities of groups within the UK?" he asked. Barak's conversation with Phillips came fast on the heels of revelations that the British, Dutch and Spanish governments were funding Breaking the Silence, an Israeli NGO that recently published a report in which unnamed soldiers alleged IDF misconduct during Operation Cast Lead. Following The Jerusalem Post's revelations of the group's funding, Ha'aretz reported earlier this week that Israel's ambassador to Holland met with the director-general of the Dutch Foreign Ministry, complained about the Dutch embassy's funding of Breaking the Silence, and urged the funding be terminated. According to this report, the Dutch Foreign Minister - considered a strong friend of Israel - was unaware of the funding and gave instructions to launch an internal investigation into the matter. A group of activists from the student organization Im Tirtzu held a demonstration outside a Rabbis for Human Rights conference at the Van Leer Institute in Jerusalem on Wednesday. The conference is focusing on the conduct of IDF combat soldiers during last January's Operation Cast Lead in the Gaza Strip. Holding up signs that decried "Blood libels against IDF soldiers for the sake of European cash," the activists heckled participants arriving at the conference and explained to curious passersby that they were unnerved by the one-sided testimonies being given inside the conference and the apparent lack of factual data backing up the claims. "What bothers me is that the people in there are making accusations about IDF soldiers without giving names, without giving locations of the alleged events," Amir Levy, an officer in the reserves who served in Operation Defensive Shield, the Second Lebanon War and Operation Cast Lead, told The Jerusalem Post. "They are making these accusations, but they're making them without facts," he continued. "And that implicates all of us; it implicates the IDF as a whole. If there were people that committed crimes, then provide their names, take them to court. But to hold a conference with European financial support is only giving fodder to the foreign press, who will undoubtedly write all kinds of stories based on these allegations." Some funding for the RHR conference and its Internet site, gazawar.co.il, is provided by Trocaire, an Irish Catholic organization opposed to Israel's military operations in Gaza. Protesters on Wednesday also alleged that a Spanish government official had donated a significant amount of funding for the conference. "I couldn't take it anymore," said an elderly woman who had walked out of the conference and passed by the gathering of protesters. "It's anti-Semitism in there. They showed us a video of Palestinians bashing the IDF and bashing Israel. Is that such a new phenomenon?" Protesters were additionally caught off guard when a man exiting the building approached them, identifying himself as Rabbi Chaim Cohen - a participant from the conference and a member of RHR. "I want to tell you that what's going on in there is unfair," Rabbi Cohen told the crowd. "There is bribery going on, and I ask you to come inside, quietly, and respectfully ask them who is funding this conference. Ask them questions about this." But once inside the conference, an Im Tirtzu member who raised the question was cut off by panelists. "We're not here to discuss these things," he was told at first. "We receive our funding from a variety of sources and we're not ashamed of it," another panelist told the protester. "We began this project with our own money, but we need funds from the outside to keep it going." Hints have been dropped in the media and by U.S. officials visiting Israel that President Barack Obama's Middle East policy has altered somewhat. Now the spin is that Israel isn't just being asked to make a unilateral concession to stop construction on settlements (about 4000 to 5000 apartment units a year) but that such a concession would coincide with some Arab confidence-building measures. In principle, this is a good thing. But let's begin by recognizing that it is a shift. Administrations like to deny they ever make a mistake or that they ever alter course. Journalists, academics, and analysts have the job of pointing out: they were wrong, now they see that--in part at least--and are making a change. Scene One: Without prior consultation with Israel, the U.S. government demands in an insulting and public manner that it make a big concession. It throws out old commitments, insists that Israel will get nothing in exchange, and makes no demand on the other side that it needs to do anything. Underlying U.S Strategy: Israel makes a big concession and then the United States goes to the Arabs, asks them to do something. Meanwhile, these Arab countries will supposedly be so pleased by American success on the construction freeze that they will give the United States more help in constraining Iran and in other policy goals. This concept has nothing to do with the Middle East as it actually exists. At least, thank goodness, the United States has not actually done anything to pressure Israel: no aid cutbacks, no denunciations at the UN, and no sanctions on weapons' deliveries. This point is widely misunderstood. So far the U.S. "offensive" has all been words. Moreover, the problem is not that Obama hates Israel or wants to destroy it. 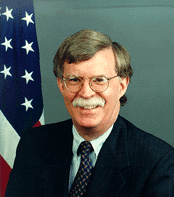 His administration has simply put forth a very silly, unworkable strategy based on a profound misunderstanding of Israel, Arab regimes, the Palestinian movement, Iran, and the proper American role in the region. Scene Two, the new development: Recognizing at least in part that it has dug a big hole for itself and jumped into it, the administration now modifies the policy. Presumably this is supposed to make Israel more attracted to the idea of making a big concession. More emphasis is put on getting Arab states to make some gesture toward Israel at the same time. Instead of unilateral concession it would be mutual, simultaneous concession. Now what the administration should be doing instead is to push for the Palestinian Authority (PA) to stop incitement to murder Israelis in its media, schools and mosques and stop telling its people that the goal is to wipe Israel off the map. That would really impress Israelis. And since the United States has just given the PA another $200 million it might have some real leverage there. But no, instead the administration is going to Saudi Arabia, other Gulf Arab countries, Jordan, Egypt, Morocco, and perhaps others saying: Do something. And of course they won't do anything. So the policy still fails but now it fails on two fronts instead of one. Special mention here should be devoted to the meaning of the word "pressure." Some administration officials in background interviews and also reporters are now saying that the administration is putting "pressure" on Arab states to do something. This is not true. It is all letter-writing and "please" and "wouldn't it be nice if you...."
That's not pressure, that's begging. Of course, something similar could be said about what the administration is doing to Israel, but at least there has been public criticism and very vague hints of punishment. Let's call this "verbal pressure" at most. One might say, however: That's not pressure, that's nagging. Now, a minor course adjustment is being made. But the basic strategy is still wrong. Either more adjustments must be made or bigger failures will follow. What is most important, however, is that the administration's basic concept of how the Middle East works--what its issues are; what it means if Iran gets nuclear weapons; how Syria's regime will inevitably oppose U.S. interests and stay allied with Tehran; how a solution to the Israel-Palestinian conflict is decades off; the need to bring down the Hamas regime in the Gaza Strip; the necessity of backing moderate forces in Lebanon in a serious manner; and similar such things--come into line with reality. In other words, we are now in Act 1, Scene 2, but what we really need is for the U.S. government to move into Act 2. Today's Golden Oldie is from 1989. I just did a cartoon the other day about how the situation with the current U.S. President is getting "Biblical". I'd forgotten that I'd used the same line twenty years ago. It seems like we move through cycles of history and re-experience situations. The Jewish Calendar is believed by many to be a chart of our progress through regions of time. Today we are passing through one of those significant and fearful times. 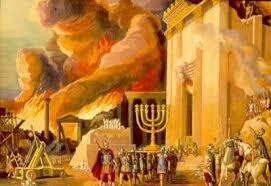 Today is Tisha Be'Av. The place in our journey through the year that is fraught with tragedy, danger, and misfortune for the Children of Israel. For those who are fasting today, Tsom Kal (Have an easy fast). The Jewish cemetery on the Mount of Olives, that the Palestinians demand to transfer to their control, is the most important Jewish cemetery in the world. The area has constituted a religious and national pantheon for the Jewish people and the State of Israel, containing the tombs of the illustrious dead of the nation over the course of 3,000 years and serving as a site for Jewish gathering and prayer at the time of the ancient Temple and even prior to it. Under Jordanian rule, Jewish access and the continued burial of Jews on the mount was prohibited, despite Jordan's explicit commitment in the Israeli-Jordanian Armistice Agreement of 1949. During the period of Jordanian rule, the cemetery was destroyed and desecrated, and 38,000 of its tombstones and graves were smashed to smithereens. Since Jerusalem's reunification, burial ceremonies were renewed at the site and large sections of the cemetery were rehabilitated. Nevertheless, attempts by Palestinians to damage the cemetery have never totally abated, and there have been periodic attacks on Jewish mourners escorting their dead for burial. Previous Israeli governments that consented to discuss arrangements in Jerusalem with the Palestinians rejected their demand to transfer the Mount of Olives to PA sovereignty and control. Nevertheless, those governments were prepared to give their assent to the transfer of neighborhoods that control the access routes to the mount. Should any such agreement be implemented in the future, it could endanger freedom of access to the site and continued Jewish burial there. In any future arrangements, in order to allow continued Jewish burial on the mount, Israel must guarantee freedom of access to the site by controlling the arteries leading to it, as well as the areas adjacent to it. On the previous occasions that Israel transferred areas that included Jewish holy sites to Palestinian control, the Palestinians severely encumbered or refused to allow Jewish access to these places. Sometimes these sites were even severely damaged. 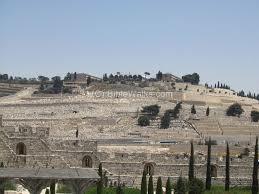 The Mount of Olives separates the Judean Desert to the east from the city of Jerusalem. The olive trees that covered the mount in the past are responsible for its name. An alternate name for the mount cited in the Talmud and the Midrash is the Mount of Anointment, named after the anointing oil, prepared from the olives that grew there, to anoint kings and high priests. Memory is deliverance; Forgetfulness is oblivion. EXECUTIVE SUMMARY: Palestinian recognition of Israel as a Jewish nation-state, or as the rightful homeland of the Jewish People, is a necessary condition of any future Israeli-Palestinian peace treaty – according to Israeli Prime Minister Benjamin Netanyahu. Arab and Islamic leaders have rejected this demand. The reason for Arab inability and unwillingness to consider Netanyahu's demand is the fact that the Islamic world is ideologically incapable of according legitimacy to the State of Israel, for deep-seated religious, nationalistic and historical reasons. Throughout most of the year, we are satisfied and grateful as we appreciate the miraculous Redemption taking place before our eyes. The return of Jewish sovereignty after two thousand years of dispersion; the Land of Israel bearing its fruits after being barren for so long; the revival of the Hebrew language as a spoken vernacular in everyday use. It requires a deep vision to recognize the holiness of this process despite all of the problems that currently exist – to see the Kingdom of G-D developing and growing to fruition amidst all of the suffering and confusion in our day. Once a year, however, we take the time to recognize how much of the goal is still incomplete as we mourn for the destruction of G-D’s Temple and our complete national framework. On the one hand, we see the goal – that amazing revolution in reality and Creation – where the world is coming to what it was always meant to be. We see the Divine ideal from before Creation – beyond the reality that we have grown accustomed to – sprouting forth as Israel rises to national rebirth on our soil. At the same time, however, during these melancholy days, we remember how much of that absolute goal is still missing – how the Temple has still not been rebuilt, how much of our country is under foreign rule and how many of our people still reside in the exile. This recognition of what is lacking is in itself part of the appreciation we feel throughout the year. The true understanding of Redemption can only be perceived when we are able to view where the process is going, what great goal of history is about to take place and how much we still have to work and pray for its completion. In truth, this understanding of Israel’s incompleteness is what gives us the ability to value what we do have – to appreciate the foundations that have already been built. Three weeks, nine days and then finally one day a year, we remember and feel sorrow for what is still not complete and how much of a national struggle still awaits us in the future. Because of how much the world is suffering today and how great and amazing the complete Redemption will be, we are overcome with grief for what the world is still waiting for – that perfect, ultimate rectification of existence that will bring this world to levels of goodness and harmony beyond what humankind has until now experienced. The Obama administration is upset and angry about a Jewish philanthropist's plan to build on a plot of land in East Jerusalem. A plot of land which he bought way back in 1985.
. . . and which has resulted in a local dispute you probably have not heard about. Israeli Foreign Minister, Avigdor Lieberman has issued an order to place a photograph of the previous owner of the property in Israeli embassies and consulates. The "professionals" at the ministry are upset at being forced to comply. So here's the background to the story. On the property stands the abandoned "Shepherd Hotel". Unmentioned in the controversy is the fact that the building and land were previously owned by the family of the Islamic Mufti of Jerusalem, Haj Amin al-Husseini. So why does Lieberman want to put up the photos? Who's Afraid of the Temple? "The President has sent some letters, yes." Reassessing Our Ties With U.S. Victory – An Obsolete Concept? Amnesty Weighs In on Saudi Arabia — But Why Now?